I had completely forgotten the possession of Incariol, the Nonman sorceror of the Skin Eaters, by Gin'yursis, the last king of Cil-Aujas. Nor had I grasped the special nature of Mimara's sight. Not only can she see the ontic bruise of sorcery but she possesses the even rarer ability to see the morality of it - the judging eye of the book's title. Having recently finished The Crippled God, my brain could not help but compare the two currently "reigning gods" in my SF/Fantasy pantheon but it's like asking a parent who their favorite child is. Bakker's Earwa is the more ambitious world and much better fleshed out. The last third of The Thousandfold Thought is a glossary/appendix that rivals those found in The Return of the King but that, like Tolkien's notes, gives Bakker's world a depth that shines through not just in the aphorisms that preface each chapter but throughout the text itself. He's created a world that really does seem different from the standard Medieval-flavored fantasy land, and did not arise out of late-night role-playing sessions. Which is both a strength and a weakness since you can find it difficult to identify with the motivations of the characters. I'm reminded of William Golding's Scorpion God, where he so successfully recreated the wholly alien cultures of a Stone Age tribe and Old Kingdom Egypt that you had difficulty understanding what was going on or why. It’s twenty years after the final events of The Thousandfold Thought, when Drusas Achamian repudiated Emperor, wife and School. In the interim, Kellhus has unified the Three Seas and been accepted as the Living God, and he marches with a great host into the Ancient North to confront the Consult; meanwhile, leaving Esmenet to rule the New Empire in his absence. Esmenet has also tracked down Mimara, the daughter she sold to slavers years ago during a famine. Taken from the brothel where she was immured, Mimara is not as appreciative of her mother’s concern as Esmi could have hoped and has escaped the Palace to search out Achamian (who she hopes is her father). Like her half-sister Serwa, Mimara is one of the Few. Achamian has spent the last twenty years in the wilderness along the New Empire’s eastern borders. His Compendium of the Holy War has been condemned as heresy (since it reveals Kellhus as simply a man, though one of extraordinary abilities). Motivated primarily by his hatred of Kellhus, Achamian determines to find the Dunyain, whose hidden redoubt – the ancient refuge of Kuniuri’s high kings – has been revealed in his dreams of Seswatha’s life. Mimara’s appearance at his doorstep motivates him to actually begin his quest. His portion of the book is taken up with the beginning of that journey. Outside of Mimara (who we at least had learned of in The Prince of Nothing), the only new character of any prominence introduced here is Sorweel, the young king of Sakarpus, a city along that Great Ordeal’s march that Kellhus’ legions conquer, killing the boy’s father. Though, like all worldborn men, Sorweel finds it difficult to resist Kellhus’ manipulation, he nurses a growing hatred of the Emperor and finds allies in the Zeumi hostage Tsoronga and in his body-slave Porsparian, who is a devotee of Yatwer. Bakker introduces Yatwer’s cult as the chief opponent of Kellhus (outside of the Consult). They await their “White-Luck Warrior” to defy the Living God. What’s absent from the book is the presence of the Consult. Aside from a few captured skin-spies, the great enemy is invisible. It’s possible that they are manipulating the Yatwerians but I get the impression that there really is a third power influencing events in that area, and the Consult may be as much surprised as Kellhus when it moves. 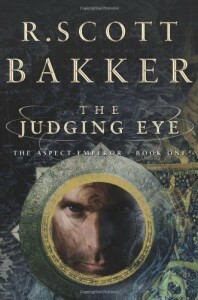 As anyone who has read this far might gather, Bakker has again written an enormously complex novel. Many of the strengths he exhibited in The Prince of Nothing continue here but I can’t help but think the present work is the weakest link in the chain. Sorweel and Mimara just don’t have the presence that Cnaiur or Esmenet had in the previous novels, and at the moment Esmenet’s role is little more than the victim of Kellhus’ and Kelmomas’ manipulation. 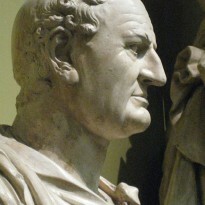 Achamian, happily, remains an interesting character, and I suffer with him through his trials. I definitely await with bated breath the next installment in the series, hoping that the potentials Bakker has begun here will be realized.